Home» Garrick News » Minister Opens Tonight! Production photos have just been released on our web site for ‘Yes, Prime Minister’ – please use the link HERE ?to see the rest. Tonight’s show has almost SOLD OUT, and most of our evening shows are already looking very full already – so, once again, please don’t delay booking your seats! This?is one of the most successful plays in recent years. ?The original writers, Antony Jay and Jonathan Lynn have reunited for this new play based on the classic and much loved TV series with a new satirical take on Whitehall.Prime Minister Jim Hacker and his Cabinet Secretary Sir Humphrey Appleby are back, spinning out of control through the collapsing euro and austerity measures in a world of 24 hour news, Blackberrys and ?sexed up? dossiers. With the country on the brink of financial meltdown the PM is staring disaster in the face with his only apparent salvation in a morally dubious deal with the Foreign Minister of Kumranistan. Will Jim Hacker and his team of advisors be able to rescue the country from the edge? 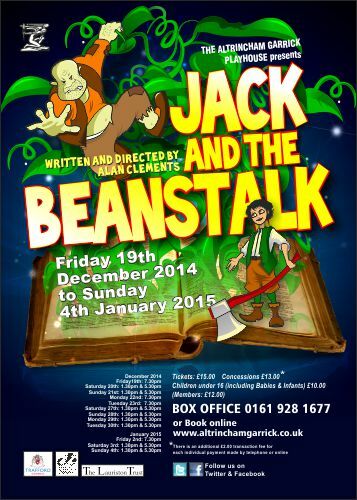 Also, ticket sales for our traditional family panto – ‘Jack and the Beanstalk’ – have now reached over 85% SOLD OUT!!! – so if you had plans to come and see this as well – you’d better be quick!